Nelson Armour is a Chicago-area artist whose work focuses on rural and urban landscapes, environmental portraiture and photojournalism projects. Growing up near Lake Michigan, he was intrigued by the lake when he learned to sail. As an adult with a family, he settled just blocks off Lake Michigan where he renewed his interest in sailing. Raised in a family steeped in the outdoors, he began photographing nature as a teenager and continued with workshops during and after college. Later, during family camping and backpacking trips to the mountains in the western U.S. and Canada, his photography was greatly influenced by Galen Rowell’s approach to visualizing composition and light. He pursued his craft in courses and workshops and is a member of Jane Fulton Alt’s photography critique group. Armour has exhibited locally and nationally, and has been published in exhibition catalogs. Armour had a solo show as part of Eight Photographers, Eight Solo Shows, in Eight Chicago Neighborhoods, sponsored by the Filter Photo Festival 2012. The work for Surface Tension arose from his photographs of Lake Michigan taken at Park Avenue Beach in Highland Park, IL. Seeking to create provocative viewer responses, he experimented with layering other images he photographed of actual point sources of pollution of the lake. Additional images reflect a collage approach. 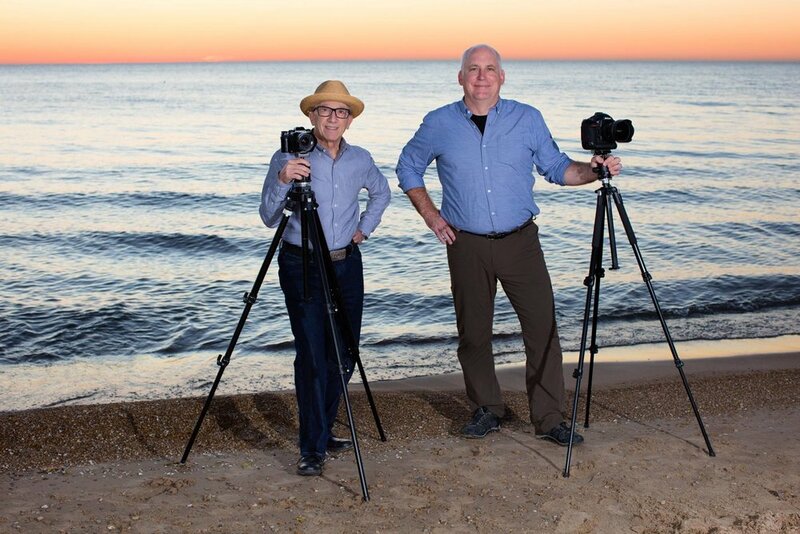 His passion for Lake Michigan is integral to this work. Ted Glasoe is a Chicago-area artist whose unique photographic work conveys the compelling and unexpected alliance of nature and urban environments, with an emphasis on images of Lake Michigan and Chicago’s natural landscape. The Minnesota native studied acting at the University of Wisconsin-Madison and moved to Chicago soon after graduation. He was immediately taken with the city’s architectural and natural beauty thanks to its proximity to Lake Michigan. This appreciation sparked an interest in exploring the relationship between the two through an artistic lens. With his photography, Glasoe aims to capture surprising, often unnoticed moments that happen around us every day. His photographs highlight the singular character of the Chicago-area landscape and the ever-changing moods of nearby Lake Michigan. Glasoe has appeared in several local photography shows and has been recognized with various honors, including first place award in the Chicago Park District “Nature in Chicago” Digital Photo Contest. A 15-year resident of Evanston, Glasoe maintains a close connection to his community. He actively supports the Alliance for the Great Lakes, Freshwater Future and other community organizations. Glasoe enjoys cycling, sailing and spending time outdoors—almost always with his camera bag in tow.